It's that time of year. I went back to work last Monday and my students (and Kid Starfish) start a new school year tomorrow. Wish us all luck! 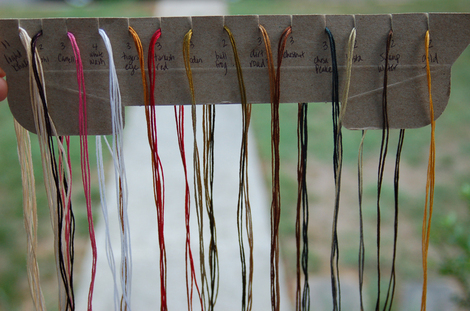 I love how these threads change color and pool as I stitch! I had an idea on where this quilt was going but I'm having second thoughts. I need to think on it a bit. What are you beginning at this time of year? Not starting anything (yet), but soon, VERY soon I will. Good luck to Kid Starfish. 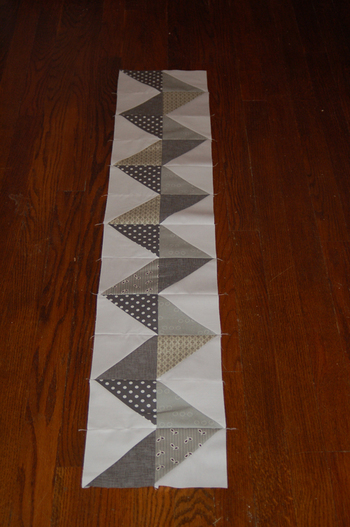 For what it's worth --- I LOVE that grey quilt. This page contains a single entry from the blog posted on August 14, 2012 10:13 PM. The previous post in this blog was An FO But No Proof :(.